Weather Banter » Weather Related Newsgroups » uk.sci.weather (UK Weather) > Baked Alaska; 2017 sea-ice review. Baked Alaska; 2017 sea-ice review. Fig. 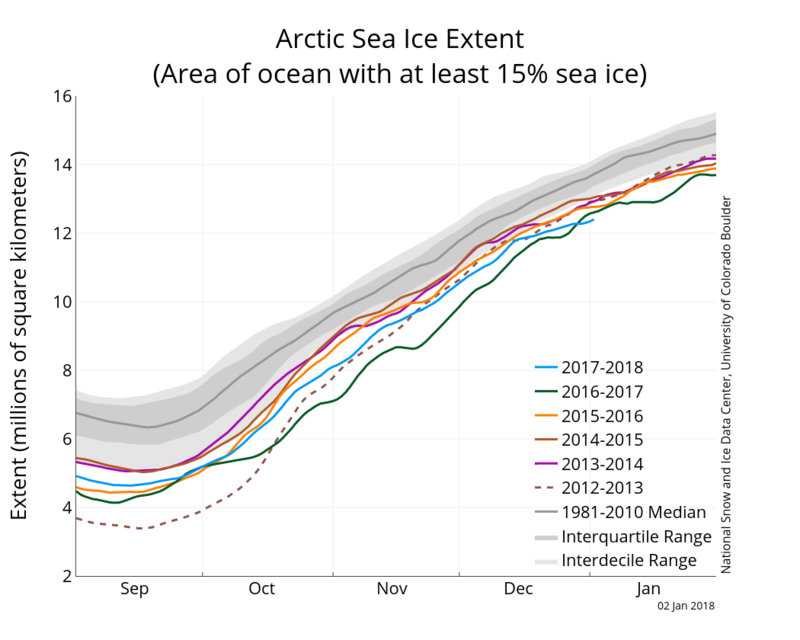 2 on that page shows that Arctic sea ice extent was at an all-time low for the time of year on 1st Jan 2018. Will it remain like that for the rest of 2018?